There has been a lot of speculation lately that Apple is set to an announce development of an Apple Mac Netbook or an Apple e-reader. Searches for the terms ‘Apple netbook’ and ‘Mac netbook’ have gone through the roof lately and following some investigation of my own, I can confirm that the speculation is at the moment just speculation. Having said that, Apple’s silence continues to fuel rumour mill. A source close to Wintek, a Taiwanese company that already makes small screens for Apple iPhones, says Apple have placed an order for 10-inch touchscreens, according to Reuters. It looks certain now that Apple will follow the iPhone and iPod touch with an Apple Mac netbook / e-reader to rival the Kindle). 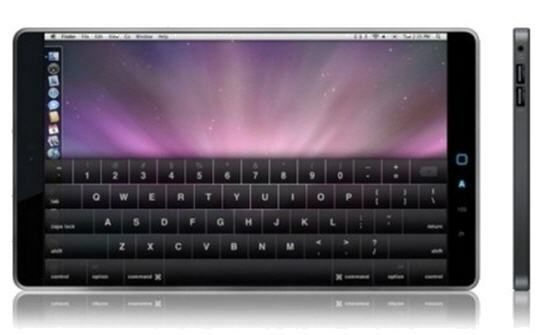 It’s also possible that they will first release an e-reader and follow it up with a touchscreen 10-inch Mac. The source, that works close to Wintek asked not to be identified because he was not authorised to talk to the media and added that he did not know what the final product would be, or who would make it. The rumour mill has been going into overdrive lately with The H reporting that Freescale were to produce the Mac netbook. If Apple produce an e-reader, I will be severely disppointed because I can read books on my iPhone. But if they produce a netbook at an affordable price, which is more likely, then I think they will throw down the gauntlet (once again) to it’s rivals the same way the iPhone did last year.